America must stop “following tragedy with embarrassment” and pass the End Racial Profiling Act, before the next city that’s “one dead black teenager away from burning to the ground” catches fire. Defines racial profiling as law enforcement “relying, to any degree, on race, ethnicity, national origin, or religion” in its investigative practices, including: traffic stops, pedestrian stops, frisks or other types of body searches, consensual or non consensual searches of property or possessions, etc. Prohibits any law enforcement agent or agency from engaging in racial profiling. Grants the United States or an individual injured by racial profiling the right to obtain declaratory or injunctive relief. Requires federal law enforcement agencies to maintain adequate policies and procedures to eliminate racial profiling, and to cease existing practices that permit racial profiling. Requires state or local governmental entities or state, local, or tribal law enforcement agencies to certify that they have policies and procedures in place to eliminate racial profiling, and have eliminated practices that permit or encourage racial profiling. Authorizes the attorney general to award grants and contracts for the collection of data relating to racial profiling and for the development of best practices and systems to eliminate racial profiling. How many more Michael Browns will we have? How many more Trayvon Martins? How many more Jordan Davises or Eric Garners? Their names alone serve as a reminder or how many times we have mourned and marched in the aftermaths of such deaths, only to end up at the same place when the next one happens. Benjamin Crump, attorney for the families of Trayvon Martin and Michael Brown, remarked that “our entire system of justice profiled Trayvon Martin,” and offered an update in the 2008 shooting of Robbie Tolan in Bellaire, Texas. 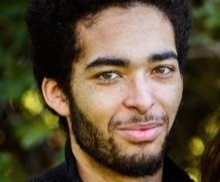 One month and a day after Michael Brown’s death, Darrien Hunt, 20, was shot and killed by police in Saratoga Springs, Utah — where the population is more than 90 percent white. 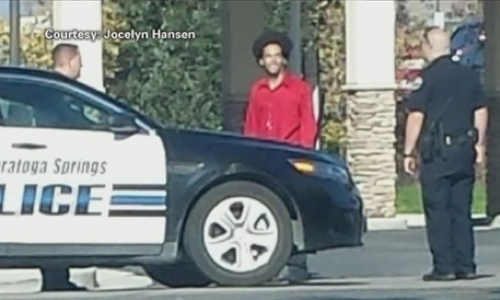 Officers responding to reports of a suspicious person walking around with a “samurai-type” sword, met Hunt outside a Panda Express restaurant at a Saratoga strip mall. They said Hunt brandished the sword and lunged at them, prompting them to open fire. Hunt died outside of a bank, about 100 yards away from the restaurant. An independent autopsy showed that Hunt was shot six times from behind, with the fatal shot hitting him squarely in the back. Utah officials later changed their account of the shooting, saying that Hunt lunged at officers outside the bank, where he died. Surveillance footage from the restaurant and the bank may shed more light on the shooting. The officers involved have not been named by the Saratoga Springs police department, nor have they been interviewed. Darrien Hunt wasn’t among the dead Goff named in his remarks. Neither was John Crawford, who was holding a toy gun in the toy section of a Walmart when he was shot by police in Beavercreek, Ohio — on the same day as Michael Brown; or Ezell Ford, who was shot and killed by Los Angeles police as he lay on the ground, trying to comply with officers, two days after Michael Brown; or Kajieme Powell, who was shot and killed by police officers in St. Louis. Darrien Hunt, Kajieme Powell, Ezell Ford, John Crawford, Michael Brown and uncounted others represent the many times America has “followed tragedy with embarrassment,” with memorials, marches, trials and investigations that don’t prevent or prepare us to deal with the next tragedy. Passing the End Racial Profiling Act would begin to replace tragedy and embarrassment with clarity, transparency and accountability, so that eventually no city will be “one dead black teenager away” from becoming the next Ferguson.